In design, AT boots are similar to regular Alpine ski boots, but they&apos;re lighter and softer flexing and they come equipped with a lugged sole for on-snow hiking. Styles range from relatively stiff and beefy to soft enough to accommodate long tours. Longtime Alpine skiers will probably feel most comfortable in a stiffer boot. But the ideal combination of support and comfort, as always, is an individual preference. This season, Scarpa brought the Laser ($519), previously available only in Europe, stateside. This three-buckle boot is light but also delivers spot-on downhill performance, and it&apos;s compatible with the Dynafit binding as well as others. Garmont, known for telemark boots, recently introduced its first line of AT boots. The GSM Compact ($420) is a high-performance three-buckle boot. Though Garmont does make women&apos;s-lasted tele boots, the Compact is currently available only as a unisex model. 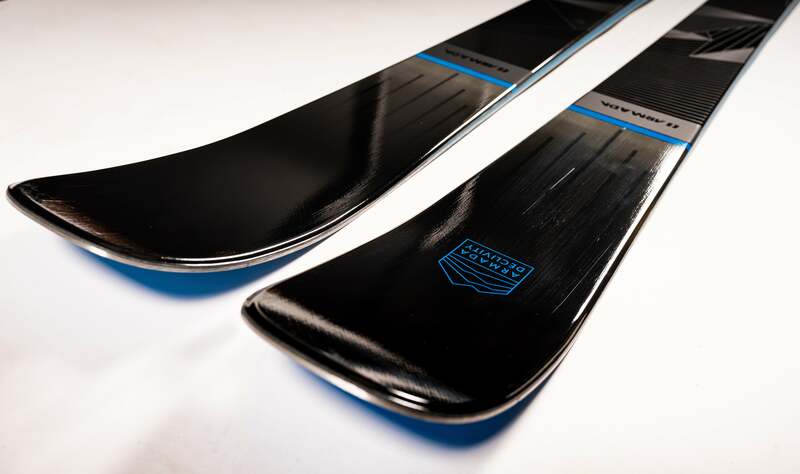 Nordica&apos;s top-of-the-line TR 12 ($455) three-buckle model features an Outlast liner for temperature regulation and a hefty Vibram sole.